This remarkable book is filled with creative ideas and a variety of quick yet significant ways to connect with the rhythms of nature each day, not just on sabbats or the full moon. Make your home into a magickal place, work with the God and Goddess on a regular basis, and discover the magickal power of animals. 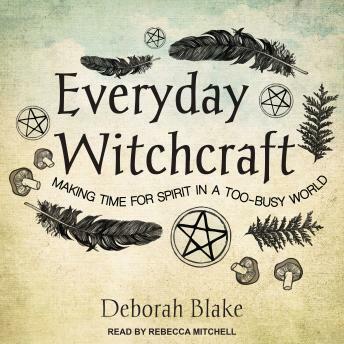 From five-minute rituals and 'hibernation vacations' to mini daily divinations, you can easily make the wisdom and practice of Witchcraft an enriching part of everyday life. Contained a lot of great information. I found the author to be insightful and I felt like I was there next to her. Felt like listening to an old friend. I started taking notes then decided this is a book I just need to buy so I can mark up the pages. I plan to read/listen to more from this author.